Discover something new on your next lunch break. 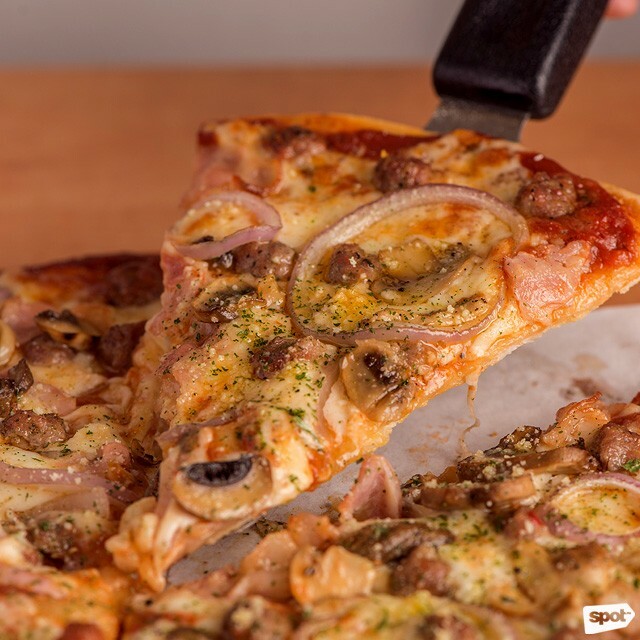 (SPOT.ph) As Metro Manila’s biggest city, Quezon City is home to students, employees, and residents who are always up for a tasty meal—and if they won’t burn a hole in your pocket, then that’s even better. Lucky for you, this always-bustling city is also home to lots of great eats, some of them perhaps a little under the radar. 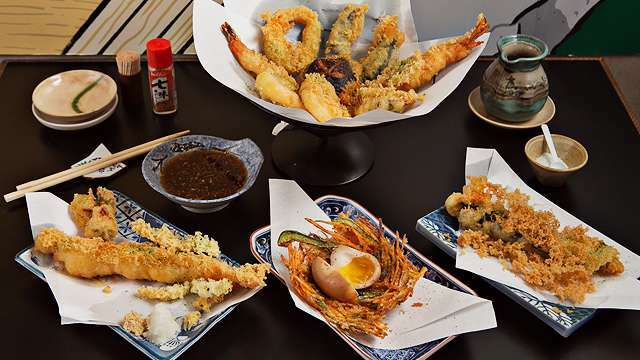 From Vietnamese and Taiwanese fare to lip-smacking Buffalo wings, Quezon City has something for your every craving. 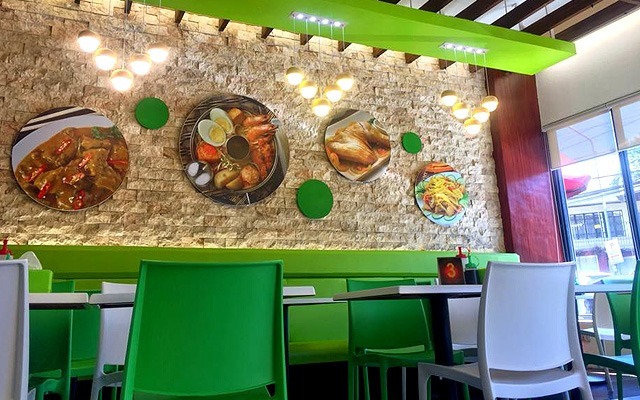 Located on the outskirts of Eastwood City, Café Enye can be easy to overlook, but their vibrant, flavorful Spanish fare will make them an easy favorite especially if you’re in the mood for something other than your usual lunches. The Caesar Salad Mojo Chicken Breast with smoky chicken chunks on a bed of grilled Romaine lettuce and tossed in an addicting mojo sauce is already a filling meal in itself. 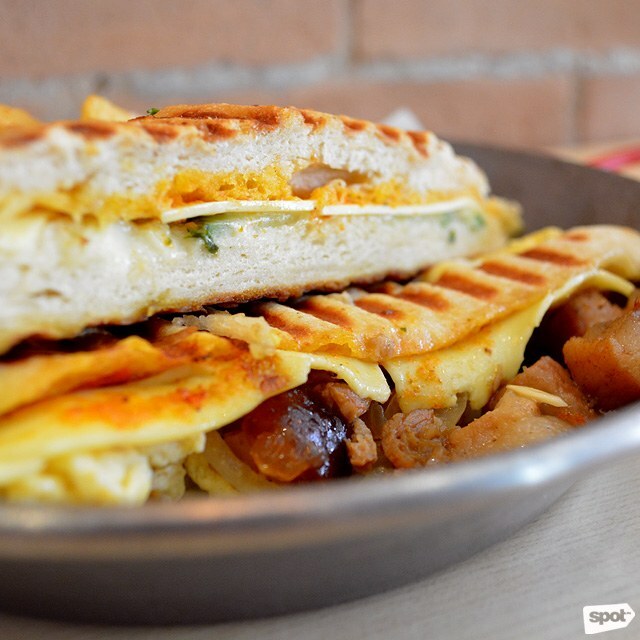 So is the Lechon Cubano, a crisp flat sandwich filled with Mexican-style lechon, the hard-hitting spices of a Latin American-style aioli, and scrambled eggs. You can also indulge a little more with the Lechon Carbonara, with chunks of fried lechon atop cream, cheese, and al-dente pasta. 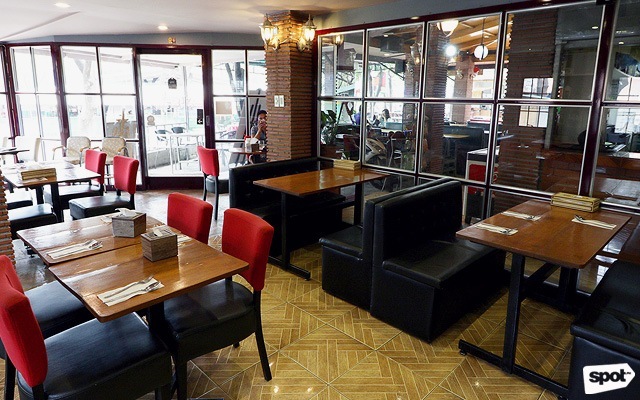 Café Enye is at G/F Excelsior Building, Eastwood Avenue, Libis, Quezon City. With their Korean casual fare prepared quickly and packaged in a handy container, BobbyBox is your best bet for easy to-go lunches, especially for when you’re extra busy. But just because they’re quick and affordable doesn’t mean their boxed meals aren’t tasty. 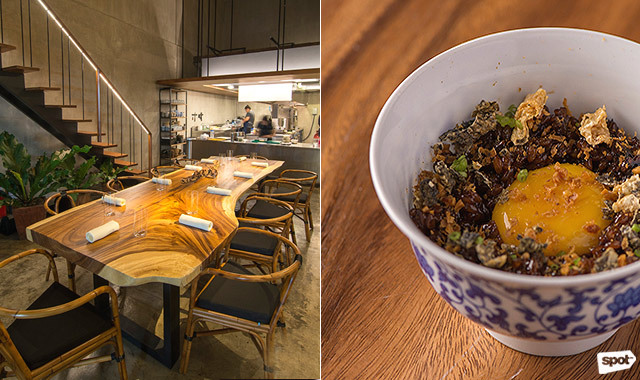 Each box is packed with your chosen entrée, side—usually pickled vegetables, a salad with sesame dressing, or kimchi—and rice. 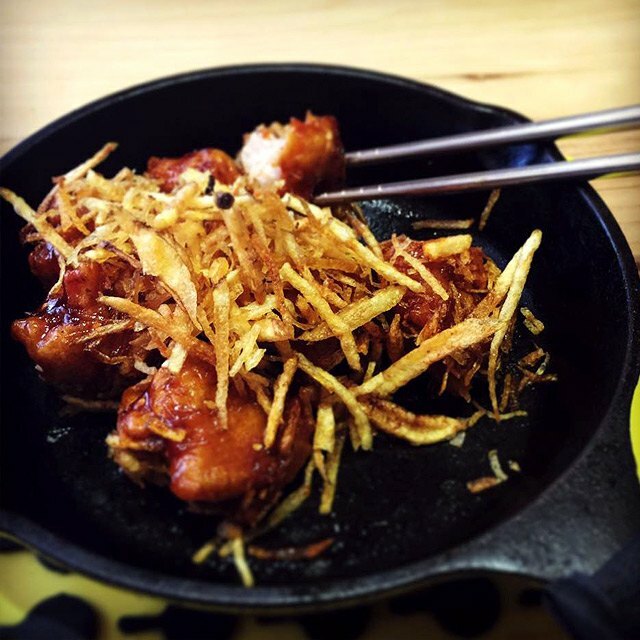 The tender Bulgogi, the lip-smacking Korean-style Fried Chicken, and the homey Kimchi & Egg boxes are all crowd favorites. Don’t have time to have a sit-down meal? BobbyBox offers wraps, too. 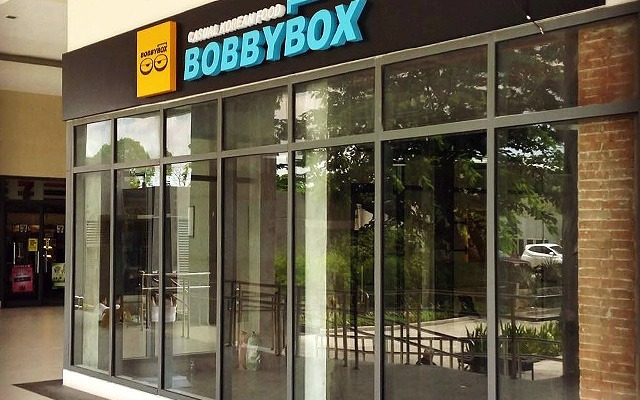 BobbyBox is at LE Grand Tower 1, Palm Tree Ave, Eastwood, Quezon City. 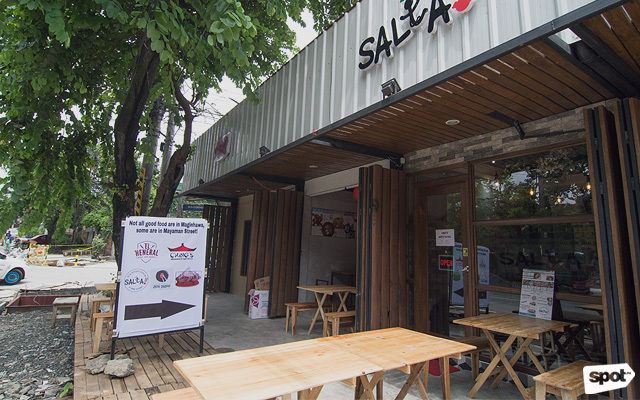 While everyone rightfully flocks to Maginhawa Street for a gastronomic adventure, its neighboring thoroughfares are home to a bunch of scrumptious eats, too, like Salta! on Mayaman Street. Though the star may be the rotisserie chicken, roasted Italian-style in a brick oven with olive oil and Italian table wine, their more budget-friendly lunch options are equally appetizing, and hefty, too. 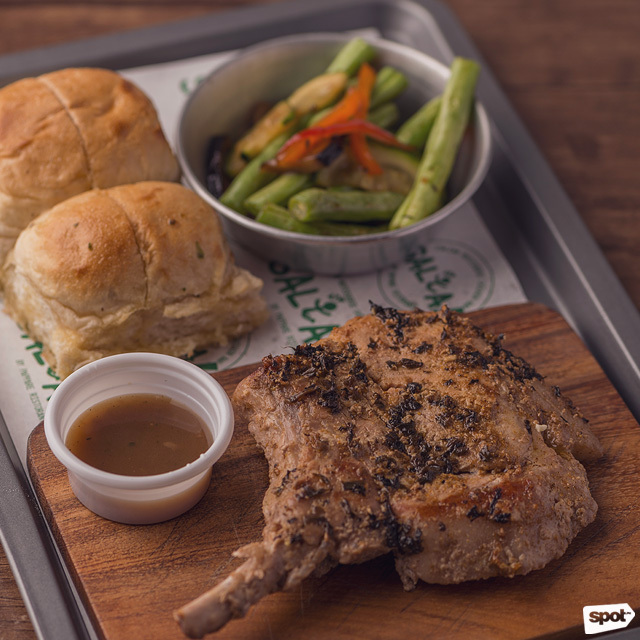 For less than P300, you can get their amazingly tender Brick Oven Porkchop, which you can get with either rice or two sides. A relatively lighter option is the Spinach, Mushroom, and Bacon Carbonara with a perfectly cooked sous-vide egg. Steak may seem like a luxury at times—and it often is—but that’s not the case at Steak To One. All of the beef they use for their steak is sourced from Tagaytay and grilled to tender perfection. 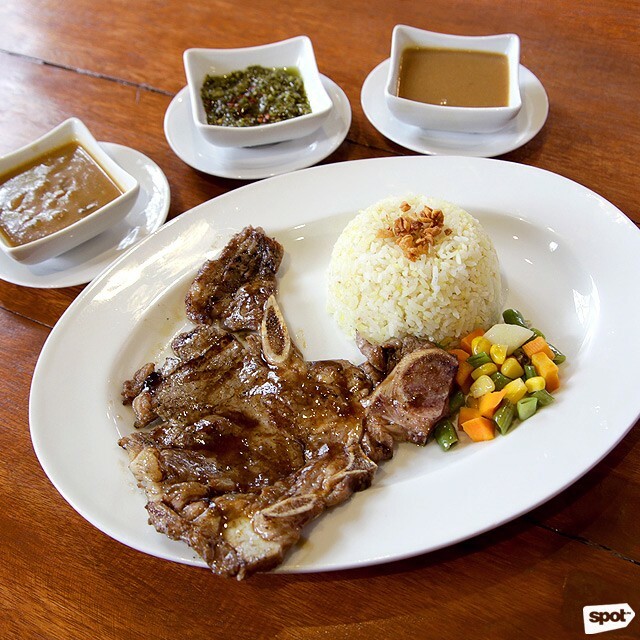 Choose from four different cuts: Rib-eye, Filet Mignon, T-Bone, and Porterhouse, all for less than P300. With each steak order accompanied by your choice of two sides, and sauce—the chimichurri sauce is an herby-tangy winner—you’re getting more for your buck. 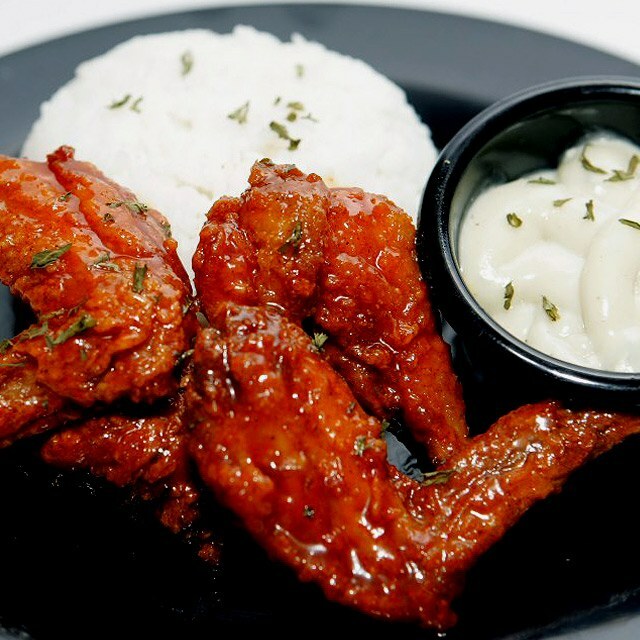 With their cheekily named wings flavors, and student-friendly prices, it’s no wonder B.Wings is a favorite in Katipunan. A Wing Meal will set you back only by P150—this’ll get you four wings, rice, and your choice of dip. Their Classic Medium Buffalo Wings currently sits in fourth place of our top 10 buffalo wings list for their hot cheese sauce-like glaze, but if your palate is up for an adventure, have the Black Mamba wings, deliciously fiery with bittersweet notes from cocoa to balance out the spiciness. Extra hungry? A half-pound of wings will only cost you P150, while P280 can get you a pound of wings. What a steal! 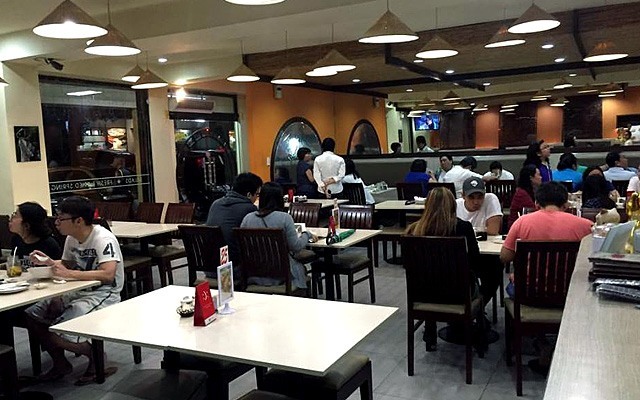 B.Wings is at U 123, Loyola Heights Condominium, 23 F. dela Rosa Street, Loyola Heights, Quezon City. If you’re a staunch pineapple-on-pizza advocate, we’re guessing that you’re willing to try new things, at least on your pizza. Krispy Tomato’s Blueberry and Ricotta should be a fun experiment for you. Blueberries, ricotta, bacon, and maple syrup on their signature chewy thin crust gives this pizza a flavor profile similar to blueberry pancakes and bacon. If you’re more of a pizza purist though, Krispy Tomato also offers a classic Manhattan with smoked ham and Italian sausages. A combo meal with pizza, pasta, and their incredibly crunchy Original Krispy Fried Chicken only costs P199. If you’d rather just have two pieces of chicken with rice, you’ll only have to shell out P149. 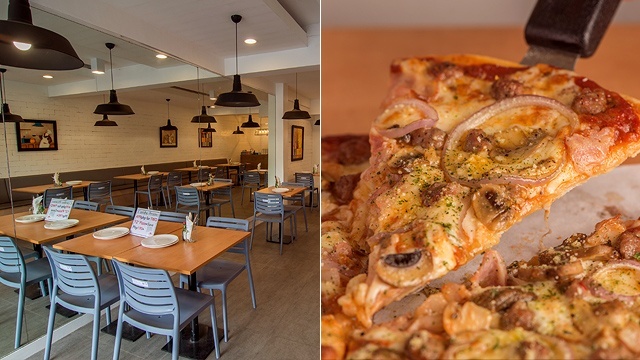 Krispy Tomato Brick Oven Pizza is at 318 Katipunan Avenue, Quezon City. 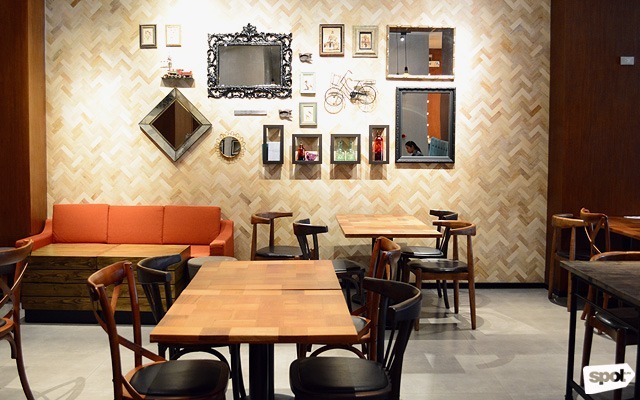 While you wait for that seat sale to Taiwan, head to Fat Fook at SM North EDSA for your Taiwanese food fix. Xiao long bao can be had here for less than P200, but they don’t lack on flavor and quality. In fact, their Pork Xiao Long Bao made it on our top 10 pork xiao long bao list thanks to a dumpling wrapper that has the right chewiness, a fresh and soothing broth, and bold porky flavors. 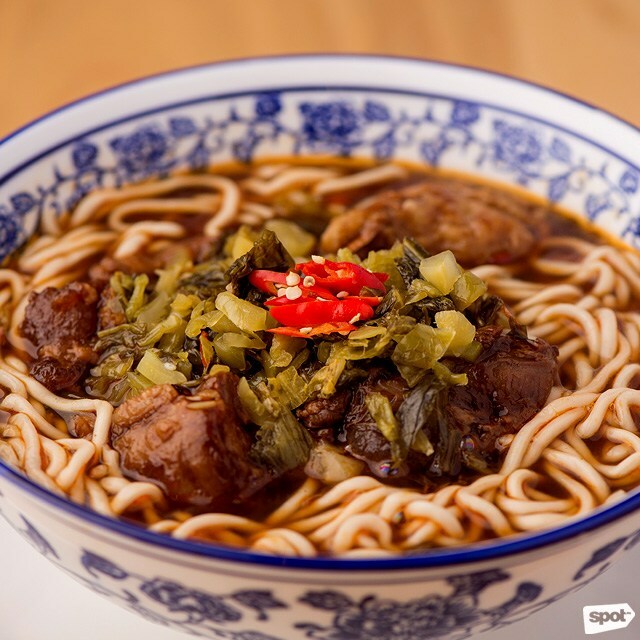 Extra hearty is the Taiwan Beef Noodle Soup, with hand-pulled noodles, large fork-tender beef chunks, and soup that flaunts lots of heat and beefy goodness. Binondo is famous for traditional Chinese fare that's fuss-free and easy on the pocket, but the drive can be a bother, especially if you live in the northern part of the Metro. Lucky for you, your craving for Binondo-style mami and other Chinese comfort food can be satisfied at Ma Chicken Mami House, and in the same budget-friendly price points, too. Their best-seller is, of course, the mami. Ma’s Binondo Style Mami is filling, with three kinds of toppings—pork, siomai, and chicken—plus tender noodles and a light, fresh broth. The bowl is also large enough to be shared between two, though you might be tempted to keep this to yourself. Ma Chicken Mami House is at 4/F Trinoma Mall, North Avenue, Quezon City. 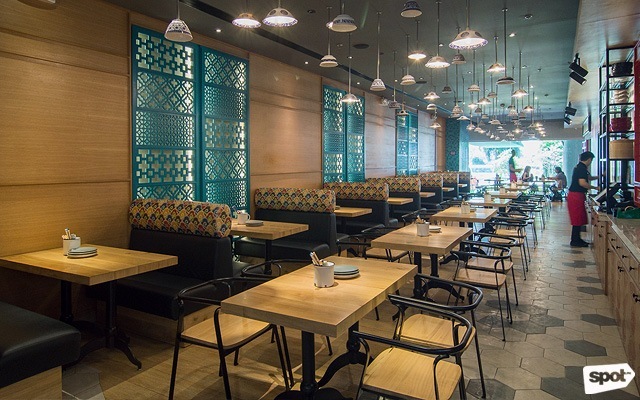 Named after one of Singapore’s major streets, Bugis Singapore Street Food will satisfy your hankerings for Singaporean-Malay cuisine. 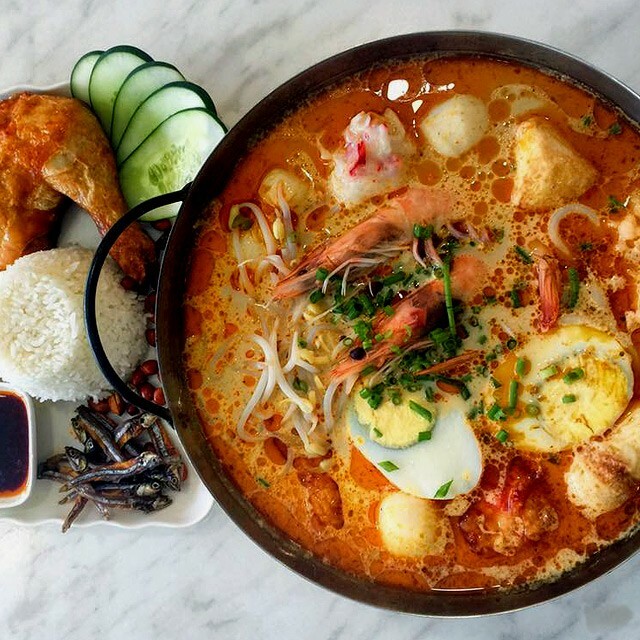 Expect a good variety of hawker-style fare, though the Singapore Laksa is a standout for regulars, with chewy noodles in a spicy coconut milk-based broth. The Hainanese Chicken, too, will easily fill you up—for less than P250, you get a quarter-sized juicy soy chicken plus flavorful Hainanese rice and chicken broth. Pair your meal with their assortment of fruit juices. Bugis Singapore Street Food is at 78 Nicanor Roxas Street, Quezon City. 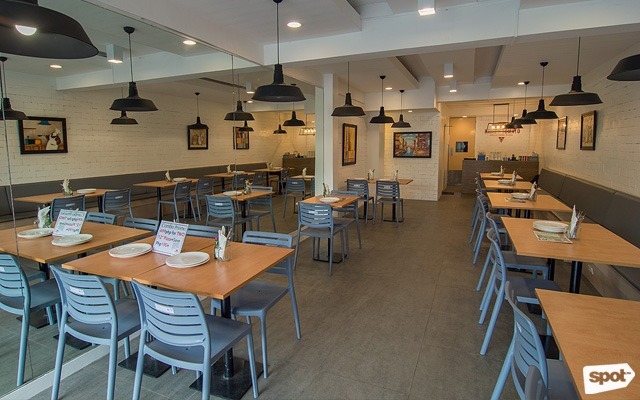 Banawe may be known for the Cantonese eateries that line its thoroughfares, but you can also get traditional Vietnamese cuisine in this corner of QC. 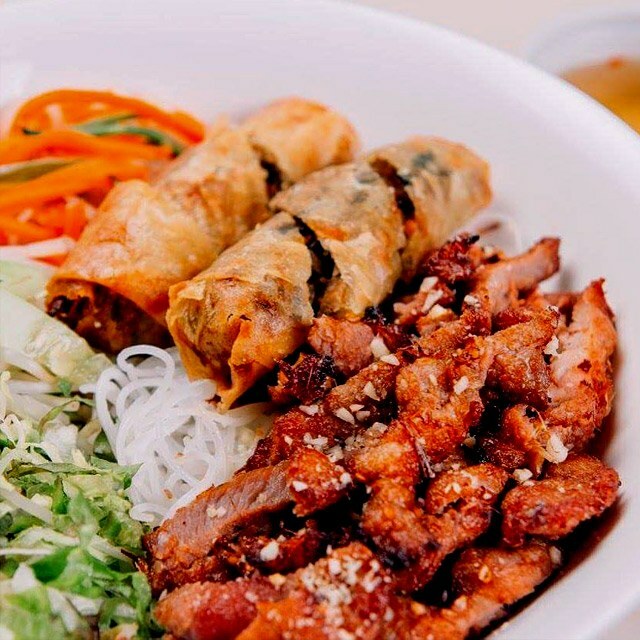 Fill up on their different kinds of noodle soups, like their signature Tra Vinh Special Noodle Soup, a seafood-and-chicken-based broth filled with tender noodles, pork loin slices, fresh prawns, fresh squid, and other tasty add-ons. You’re also in for a treat with the Braised Duck Noodle Soup, with a quarter-piece of braised duck—all for less than P300. Tra Vinh is at Unit 3, 109 NS Amoranto corner Cordillera Street, Maharlika, Quezon City.